Lavender (lavandula) is the most versatile and most popular essential oil of the flowering plant of mint family, lamiaceae . Lavender oil is an extract from the flower or bud of lavender plant. Best known for its beautiful and attractive scent, lavender oil is also very potent disinfectant, anti-inflammatory, anti-septic and as aromatherapy. They offer best healing to skin problems such acne, eczema, sunburns and small cuts, insect bites. They are also good treatment for migraines headache, motion sickness or nausea, insomnia, stress and anxieties. Lavender oil essential are use in cosmetics industries as perfume ingredients. They are also use as homemade air freshener and as insect repellant. Lavender is one of the potent oil in the treatment of various skin problems like acne, eczema, dermatitis, dry or chapped skin and lips. Lavender oil also helps improves the texture of your skin or use as skin tone. Lavender oil offers an excellent treatment for acne, dap or soak a cotton bud with the oil and carefully rub on the affected area, or you could mix the oil with other essential oil carriers like coconut oil and rub on the affected region. Because of it anti-inflammatory and anti-septic properties it inhibits the bacteria that cause acne and reduce scaring left by acne on the skin. Lavender oil is also an excellent treatment for your eczema, add about 6 drops of lavender oil with some drops of coconut oil and massage on the affected region, it helps to reduce itching and skin irritation, it nourish and enhance the smoothness of your skin. For dry and chapped skin or lips, use the same methods for eczema above. Rub the mixture on your palm, foot, lips or any other area as the case may be. It helps to reduce skin crack and dryness. For skin toner, blends some drops of lavender with some drops of tea tree oil and witch hazel in about 2 oz of distilled water. Preserve the mixture in a small spray bottle. Spray the substance on the face after washing and carefully rub around the face before bed time. It keeps your skin fresh and rejuvenated. Lavender oil is one of the great antidotes for good sleep and solving problems of insomnia. It calms the nerve, creates a soothing and calmness to the brain, thereby inducing sleep hormones. In one study of 5 adult men and 5 adult women who suffered from insomnia reported by the Journal of alternative complementary medicine, it showed that lavender oil improves sleeping condition of the 5 men and women. Add some drops of lavender oil in your diffuser and diffuse in your room before sleeping time or during sleeping, the fresh scent that occupied your room give you fresh breath and stimulate sleeping hormones. You can also blend lavender oil with other essential oils like chamomile oil, cedarwood oil to make calming aroma around your room. Lavender contains some powerful antioxidant like glutathione and catalase which helps defends the body against the damages caused by free radicals. Free radicals are well known as inducers of cellucer and tissue pathogenesis leading to several human diseases such as inflammatory disorders, cancer and cardiovascular diseases. The ant-bacterial activities of lavender oil is largely due to it phytochemicals composition like linalool and linalyl acetate. In their report Neson et al found that documented activities of 2% to 0.12% (v/v) lavender oil against both methicillin-resistant Staphylococcus aureus and vancomycin-rsistant entercocci. It has also been found that lavender oil inhibited the growth of candida albicans and trichophyton rubrum strains. Lavender oil is also use to treat nail fungus infection, apply some drops on the affected nail at least twice a day to get the required result. A research have shown that in animal experiment in adult male wistar rat shows that lavender essential oil is capable of balancing the blood sugar levels and protect the body from oxidative stress that causes complication in diabetic patient. https://lipidworld.biomedcentral.com/articles/10.1186/1476-511X-12-189. Traditionally lavender oil was popularly use as antiseptic and antibacterial for the treatment of wounds and cutes. It is use to prevents the infections and to speed the process of wound healing and recovery. 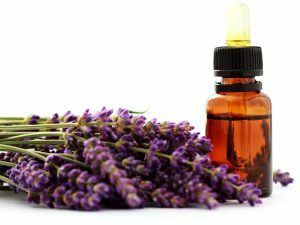 In an experiment that was carried out to determine the effect of wound healing of rat treated with lavender oil, the wound area of rats treated with lavender oil was significantly decreased as compared to that of untreated rats. https://www.ncbi.nlm.nih.gov/pmc/articles/PMC4880962/. The report further demonstrated wound closure progressed more rapidly with topical application of lavender oil as result induced collagen production. 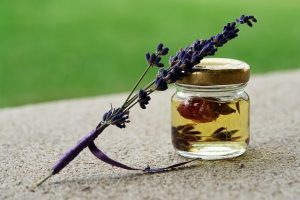 Lavender oil offered a great relieves for headache just by inhaling the substance directly from the bottle or rub some quantities at the back of your neck or forehead or better still diffuse the oil in your room before bed time to relieve you instantly from your headache and migraine. Lavender oil helps preserve your natural hair and preventing hair loss especially in those who suffered from alopecia, it enhance hair growth and improves the conditioning of your hair when applied directly. It also prevents dandruffs and promotes healthy scalps. Add lavender oil with your favorite essential oil carrier like coconut oil and applied directly to your hair to get best result. Lavender oil offers huge benefits for your respiratory health, it alleviates and prevents respiratory problems such sore throats, sinus congestion, flu, whooping cough, asthma and bronchitis. For various respiratory problems, add some drops of lavender oil in boiled water and inhaled the steam by covering your head some inch above the container. The steam offers instant relieve from your respiratory problems. You can also inhale lavender oil directly from the bottle to decongest your sinusitis. Lavender oil is both anti-inflammatory and analgesic, it provides immediate relieve from pain such as migraine, body aches, rheumatism and back ache. Rub some drops of lavender oil at the back of your neck as pointed out earlier for migraine or in the desired area of your body to relief your pain. You can also diffuse the oil to make you relax and calm your nerves. One potent benefits of using lavender oil is for the treatment of anxiety and depression. It has calming and sedative properties making the body to relax by calming your nerves and creating a kind of mental and emotional balance when use correctly for these purpose. Diffuse the oil in your in room or rest room to relax your body, massage some drops on your temples or put some drops on pillow or better still add several drops in warm water for fresh bath, it soothes and rejuvenates your nerves and cures your anxiety. Instead of using insecticides that pose certain health challengers to you and your family member why don’t simply indulge in the habit of using this beneficial oil for repelling insects. This is what i called double benefit you relax with the beautiful scent of lavender oil and keep harmful insect away from your surroundings. The scent of lavender essential oil is harms the olfactory organ of insects like mosquitoes, moths and midges. Diffuse your lavender oil or drops some at the corner of house or under your bed to repel these insect. Also you can add some drops in a bow of water and sprinkles around you home. For symptoms of motion sickness, lavender oil offers immediate solution to reduce your nausea. Inhale lavender oil directly or drop some quantity in your palm and carefully rub on your wrist, face and neck. The ability of lavender essential oil to boost your blood circulation is as result of it calming and rejuvenating effects to the body. Studies have shown that by using applying lavender oil in aromatherapy, it helps blood to circulate easily to every part of your body. It increase the circulation oxygenated blood and enhance your body wellness by reducing the exposure to heart attack. Lavender oil is diuretic, this means that it helps to stimulate urine production which helps in removing toxins from the bladder and the body. To relieve your feverish condition, add some drops of lavenders oil to warm water for bath. This can be applicable to both adult and children. It induces sweat and, relieves your feverish condition. Lavender with its calming and soothing scent could replace your regular which may contain some highly toxic substance that may put our health at risk. The Environmental Working Group (EWG) reports that, while many popular perfumes, colognes and body sprays contain trace amounts of natural essences, they also contain a dozen or more of potentially hazardous synthetic chemicals, some which are derived from petroleum. To protect their trade secrets, makers are allowed to withhold fragrance ingredients, so consumer can’t rely on labels to know that hazards may lurk inside that new bottle of perfume. The Campaign for Safe Cosmetics, a coalition of over 100 groups seeking transparency about chemicals in cosmetics, commissioned independent laboratory test that revealed 38 secret chemicals in 17 leading fragrances. https://www.scientificamerican.com/article/toxic-perfumes-and-colognes/. Rub some lavender oil in your wrists or neck to smell nice and good. 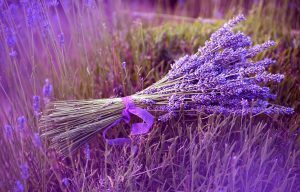 Lavender has been used for centuries as food seasoning and food flavoring. They can be as flavor in salads, soups, meat, desserts, cheese, baked food and confectionery. For lavender recipes check out, http://www.lavendersense.com/index.php/Lavender/Recipes.